Cedar Inn is located in the city center, close to the Mall. 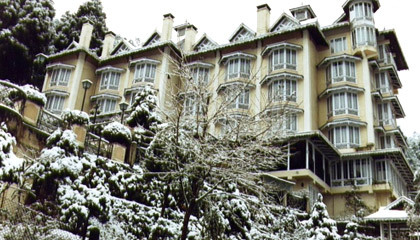 Cedar Inn is an elegant hotel designed in Victorian Gothic architecture, reflecting Darjeeling's colonial heritage. The Cedar Inn is conveniently situated in a sylvan environment amidst cedar trees. It is a well-known hotel offering magnificent view of the mountain peaks. Cedar Inn is renowned for its gracious colonial heritage, warm hospitality and multifarious amenities, creating a balance of rich culture and modern convenience to ensure the best comfortable stay in Darjeeling. 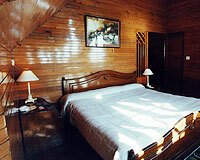 Holiday in Darjeeling accompanied by the warm hospitality of Cedar Inn makes it worthwhile. Cedar Inn offers 22 rooms, most with their own fireplace, attached bathrooms with bathtubs & showers, color televisions with cable network, STD, ISD telephone facility. Creative Cuisine: A multi-cuisine restaurant serving the best of Himalayan foods, Indian, Chinese and Continental menus.